Tampa Bay is the state’s largest open water estuary. Spanning 400 square miles and holding over 200 species of fish, Tampa Bay is a world-renowned fishing destination. Tampa Bay fishing is as good as it gets. This area holds an active fishery that s available to both visiting and resident anglers all year long. 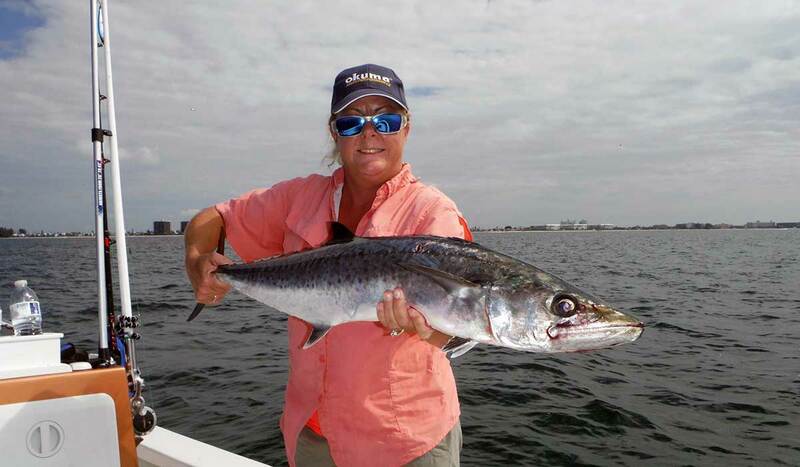 With its temperate climate, direct access to the Gulf of Mexico, and freshwater feeds from dozens upon dozens of sources, the state’s finest inshore game fish call Tampa home. Tampa Bay houses a diverse ecological system. For sight fisherman, the expansive grass flats and backcountry mangrove systems offer excellent opportunities for landing a plethora of species. Some of these are Snook, Tarpon, Redfish, Sea Trout, Mackerel, Snapper, Flounder, and Grouper. Then there are deeper water channels that run throughout the bay system, as well as along Intracoastal waterways. These offer anglers shots at a larger number of fish species that are sure to get your drag screaming. Anything from sharks to Goliath Grouper can be found cruising these deeper water areas. 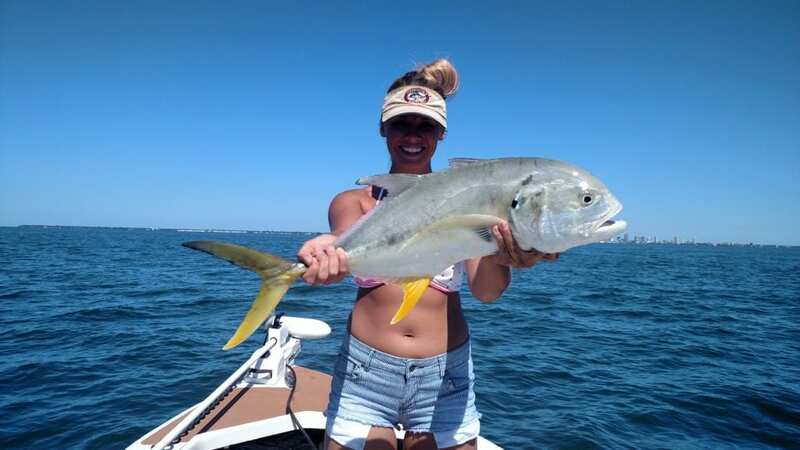 Aside from our resident fish who make this fishery an epic year round one, Tampa Bay is also home to many seasonal species of fish that are highly sought after. 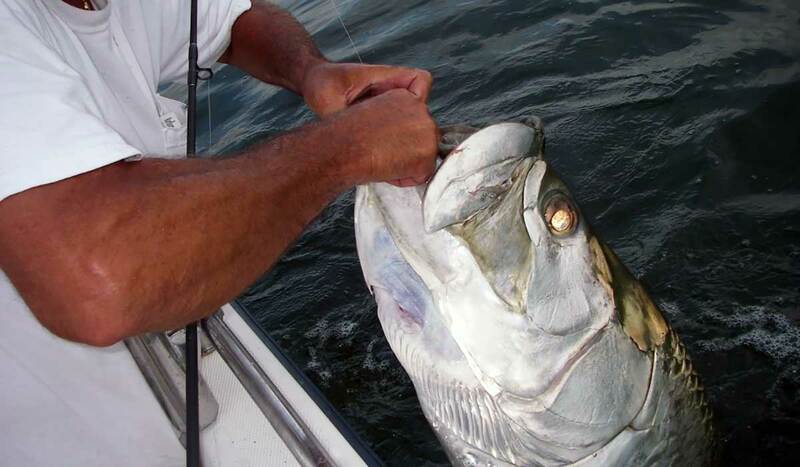 One of the biggest ones looked forward to in the area is the annual Tarpon migration. 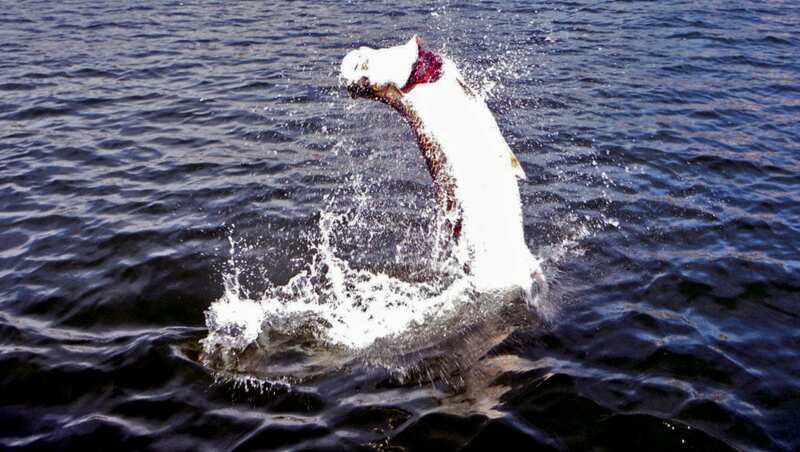 Tampa Bay see’s Tarpon come in by the droves for many of the summer months. 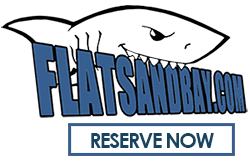 Flats and Bay Tampa Fishing Charters services go above and beyond the norm. 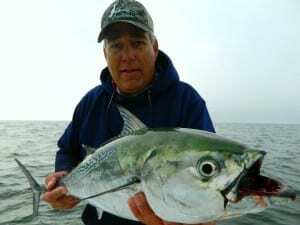 Captain Steve Betz puts his many years in the area into every charter experience here in Tampa, Florida. In this, you can trust that whatever the season calls for, Flats and Bay will put you on the fish! Flats and Bay is top rated on Trip Advisor and continues to please anglers from all walks of life and skill levels. Whether a day with the kid or a pro angler looking for real fishing excitement o the west coast of Florida, Captain Steve has trips lined up just for you. 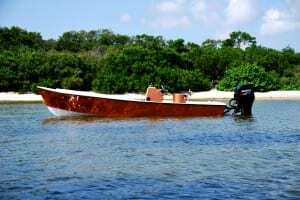 The custom built charter boat (restored with a purpose by Captain Steve himself) combined with Tampa area waters makes for a fishing trip that you will not soon forget. From inshore to nearshore your charter experience will take you to all the hot spots in this fishery. It’s undeniable, Tampa is up-and-coming. Locals adore this barrier island and have christened it with more pseudonyms than any other American city. You may be greeted with “welcome The Lightning Capital,” or “Ybor’s Town” and ETC. The region’s history and blend of unique characters make it a sought-after destination. Tampa is home to the creator of refrigeration, the Calusa Tribe, a cigar factory turned entertainment plaza and the shallow bay. Locals agree that the bay offers premier inshore fishing. It possesses a unique slowly sloping continental shelf, so much so that Hurricane Irma displaced the water, revealing the sea floor. These shallow waters, that never exceed 12 feet, make for superb inshore wade fishing. 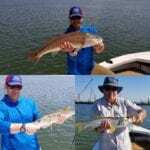 One angler, at Tampabayfishingonline.com, shares his experience wade fishing Fort De Soto: “The trout are out of control out there. Fort De Soto is good for almost anything you want to target.” It’s said that Trout and Spanish Mackerel leap from the waters around Fort De Soto. Offshore anglers will find a paradise atop the region’s artificial reef. According to the Environmental Protection Commission (EPC), fifty- thousand tons of material has been submerged in the Gulf Coast since 1986. Artificial reefs promote biodiversity – a greater variety of fish to reel-in. According to Tampabayonline, the action occurs along the Ruskin Reef. Anglers commonly catch Sheephead, Snapper, Grunt, Black Drum, Lady Fish and occasionally Trout, Snook, and Redfish. Ruskin Reef is located just off Bahia Beach. Tampa Bay now possesses the World’s longest fishing pier. According to Floridastateparks.org, a new bridge spans the bay and connects St. Petersburg to Sarasota, leaving the old bridge for anglers to reel-in the day’s catch. The bridge is night fishing friendly. It’s well lit so anglers may rig a line, bait the hook, and start catching fish throughout the night. Additionally, the light itself attracts a variety of fish. Common catches, along the pier, include Snook, Tarpon, Grouper, Black Sea Bass, Spanish Mackerel, King Mackerel, Cobia, Sheepshead, Red Snapper and Pompano. This up-and-coming city is known for nightlife. It’s the combination of natural wonders and an exciting bar scene that makes Tampa an amazing getaway, local anglers have the best of both worlds: a prize catch from the bay and night out at Ybor City. 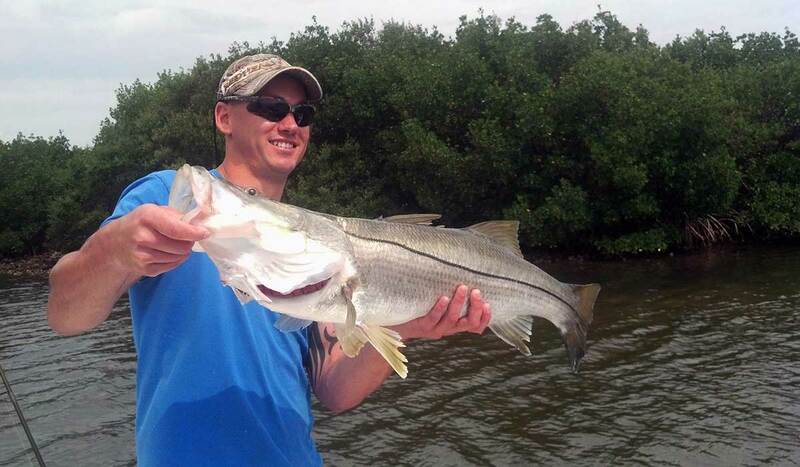 Hire a local Tampa fishing guide here.